Smart robots have arrived to vacuum your home. Ever since inventor James Dyson got me into the genius of cyclonic vacuum technology, vacuum cleaners became oddly interesting. A machine that can harness miniature tornadoes is, let’s face it, pretty sweet. And now with AI, they’re also getting really smart. What was a dull and heavy manual appliance of the 20th century is morphing into an increasingly agile, high-tech smart device that cleans your house while you do other things. People things. Hurray! So okay, they might not be perfect for everywhere, but I’m seriously looking around my home for areas the robot can clean instead of me. I’m sure you don’t need a whole lot of motivation to do the same. And they can do it on a schedule! I’ve heard so many stories why people give them a go – the wife is pregnant, people don’t have time because of their career, children, or they have a box set they really must watch… I mean how hard is it to come up with an excuse not to do the vacuuming?! Well of course it’s the 21st century now and we have smart technology to take care of it. Household robot vacuums, some of which have smartphone apps, are just another form of domestic AI. You either own one already, or you will do shortly. They’re getting quite good, and the price comes down every year, with many quality brands competing for your money. Let’s take a look. Right now the manufacturers of robot vacuum cleaners have been rapidly iterating their designs as they fight it out in the brand war and create the cheapest, most reliable, most convenient appliance for you. A lot of things you might worry about have already been sorted out, such as the robot falling down the stairs or running out of power mid-way through cleaning. Every year robot vacuums get cheaper and better, but your floors are dirty now so let’s look at some products. Okay so I don’t know about you, but I need to see new technology in action before I part with any money. Fortunately for you, not only are there are loads and loads of YouTube video reviews out there, but I’ve already watched them to save you time. It’s the best way to learn about the tech, rather than y’know, reading walls of text. So if you’re new to these robots and you’re looking for a crash course, consider this part your crash course. What we’ll do is look at a fairly recent model in action, and I’ll let you decide whether it’ll run around perfectly well in your home or not. The review I’ve picked this time is by Lisa Gade from MobileTechReview and it’s about 10 minutes, not too long, and a lot of info. You’ll get to see how these things cope in a real home and generally what’s up with robot vacuums in 2018. Lisa’s used various robot vacuums around her home and she has the voice of experience. Quite entertaining and informative, the robot on show here is a mid-range Deebot 901 by Ecovacs Robotics and it’s quite a good one, reasonable price for what you get as well. Right. If you watched that and thought, yes, you’re ready for one of those – providing it’s the right price and has the right features – let’s break them down into price brackets. Now bear in mind that people are often happy with the so-called budget models just fine, but if you want to spend more you can do that too. Possibly the smartest choice is perhaps all you need anyway, a relatively inexpensive machine that gets the job done without fuss. While you can get a robot vacuum cleaner that’s controlled by a smartphone app, do you really want the hassle of setting it up? Sometimes simpler is also cheaper, better and smarter. These products might just prove that. Yes, there is one with an app as well. There’s fierce competition among the cheaper robot vacuum cleaners to be the highest quality product at the fairest price. Two companies in particular lead the way in this bracket, starting with Eufy. *The Deebot 901 is usually listed for $399, i.e. over budget, but I’ve heard of it dipping under $300 during sales. Worth mentioning in case of a bargain. 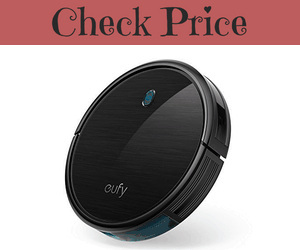 The Eufy brand was launched by parent company Anker just a few years ago, and what stikes me most about Eufy is the sheer speed at which they iterate on their RoboVac series. The previous generation RoboVac 11+ isn’t even an old machine and yet both the RoboVac 11S and the extremely similar RoboVac 30 are now on the market. Both of these robots are slimmer, upgraded versions of the already very popular Eufy RoboVac 11+, and between the two, the Eufy RoboVac 30 is a more powerful version of the 11S. While the S is for “slimline”, the 11S is next generation and belongs in the 30 family. Base models have no Wi-Fi, but it is available on “C” variants. The 11C is from the previous generation however (old! ), so the Robovac 30C is the one you want to be looking at for both the 11S or 30 with Wi-Fi. With that said, let’s introduce the Eufy 11S. 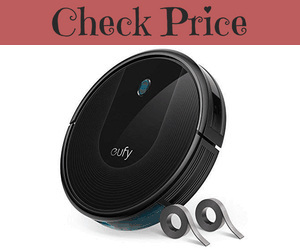 The Eufy RoboVac 11S is a random pattern cleaner without optical mapping. You give the robot a cleaning schedule and it stays on top of things through regularity. It’s a persistent little thing and owners consistently report that it does its job well. It has a high dust capacity bin compared to a lot of robots I’ve seen and quite a powerful little motor, and yet it’s remarkably silent for a vacuum cleaner. There’s no Wi-Fi on the base model remember, so no Google Home or Amazon Alexa integration to worry about on this one, just a remote and the controls on the robot. It’s a simple device. While you should always take care of your robot and clean it regularly like any appliance, there’s also very little scope for spare parts or repairs should it break. You’re not expected to be a robotics genius for this one, ownership is easy! The guesstimate out there is you should expect this robot to last you perhaps 3 years, after which it’s time to replace it. Eufy gives a 12 month warranty to put your mind at ease, although as is usually the way, somebody is bound to have one still running after 20 years. The intent at this price point however is a no-frills cleaner that just does its job, does it well, and at a reasonable price. You get a good deal. Eufy’s engineers are aggressively improving their RoboVacs to keep them ahead of the competition and it’s what’s been giving me faith in their products as I’ve scrutinised them. They really believe in what they’re doing; the previous generation 11+ is a perfectly good machine and yet it’s already been improved upon multiple times, and here we already have the RoboVac 30 (no Wi-Fi) and RoboVac 30C (with Wi-Fi). 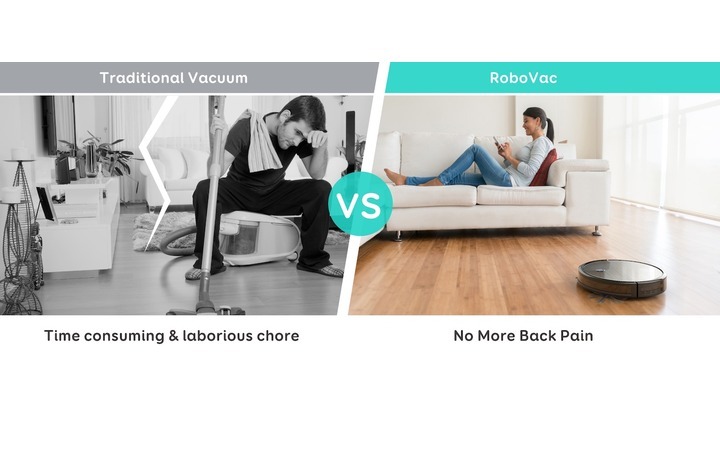 The highlights compared to the previous generation RoboVac 11 series are that the height has been brought down (gets under even more furniture); the suction power has been boosted by 50% to 1500Pa (Pascals, units of pressure), and the BoostIQ artificial intelligence (automatically adjusting suction for carpets etc.) has been upgraded. In addition to the above, the noise is reduced to 55dB (very quiet); dust capacity increased to .6L; and it can climb over slightly higher obstacles, now up to 0.63in / 1.6cm. The noise reduction is especially welcome as 55dB is surprisingly low. You’ll love how quiet it is. As such a quiet vacuum it’s much less likely to disturb anyone. Users with infants have mentioned how it does the work for them without waking the children. Very comforting for tired parents, or indeed anyone who wants the vacuum to clean without disturbing anyone. The added floor clearance helps just a touch more with navigating over carpets, sills, and other obstructions. Overall, this series has a lot of improvements in a short period of time. Both of these RoboVacs can be given an automatic daily cleaning schedule, host internal AI to prevent themselves falling down stairs or running out of power, and they can be commanded by remote control to do specific tasks immediately. The RoboVac 30 and 30C also come with magnetic “boundary strips”, which you can use to keep the robot out of certain areas. Eufy have released a version of the RoboVac 30 called the RoboVac 30C, which adds Wi-Fi and an app for an extra ~$30. The app has been welcomed as easy to use and has simple functionality, integrating with Amazon Alexa or Google Home as you’d expect for voice control. Overall, the RoboVac 30C is a strong challenger to robots hundreds of dollars more expensive. Way to go Eufy! Eufy offers a great range of budget robots, with everything from a simple entry-level model to a “premium budget” model. You’ll love what you get for the price. Speaking of prices, I keep hearing about these robots popping up in sales and selling like hot cakes, because at the end of the day, you will love these little machines and the internet reviews confirm that. Check Amazon now and get yourself a deal. Very quiet, simple and effective cleaner. An ideal first robot? More features if you want them over the model range. Highly competitive prices for what you get. Not intended to be repairable. Basic navigation, no mapping features. Who should buy the Eufy RoboVac 11S? People who want an affordable, easy to use and quiet robot, without anything complicated to worry about. 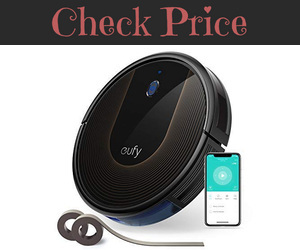 The internet reviews generally agree that Eufy is a great brand to buy into and their vacuums are quality products, with a 12 month warranty for peace of mind. All-in-all the Eufy RoboVac 11S is a popular device and well worth a recommendation, especially for your first robot. Who should buy the Eufy RoboVac 30 instead? So you get boundary strips, if that’s a thing for you. For mainly hard floors and low-pile carpets I’d go with the 11S (less expensive and not much difference), but if you have medium-carpets or real trouble with pet hair I’d strongly consider this one for the extra powerful suction. Who should buy the Eufy RoboVac 30C? People who want all the bells and whistles basically. You get a bit more suction power over the 11S, plus you get Wi-Fi and the app, which lets you integrate your robot with both Amazon Alexa and Google Home. A very quiet and convenient robot that competes with robots twice the price, and yet it’s still under $300. Quite impressive. *Not to be confused with the Deebot OZMO 601, which is completely different. The first thing you’ll notice about browsing the range of Ecovacs robots on the market is that there’s so many of them, especially with integrated mops. The company seems to have been trying out a lot of different ideas with mixed results, reflected in the middling-to-good reviews for a lot of their products. Where Ecovacs has been going right has been with the Deebot N79 and later Deebot N79s robot vacuums, both decent models in 2017, but now being replaced in 2018 with the newer generation Deebot 601 and 901 models. The Ecovacs Deebot 901 is a bit odd because the price appears to fluctuate between ~$299 and ~$399, which honestly is a large amount. This robot may occasional dip into our “under $300” price range from time to time, and for the advanced navigation features it has it’d be a really good purchase for $299! It’ll get mentioned quite a few times here and it’s certainly worth keeping an eye on the current price to pick up a bargain. The Ecovacs Deebot 601 is the 2018 upgrade to the old Deebot N79s. It’s smarter and doesn’t just wander around in a random pattern, but rather can efficiently cover the floor using a back-and-forth S pattern. It doesn’t have the sensor array of the 901, but it’s less expensive. 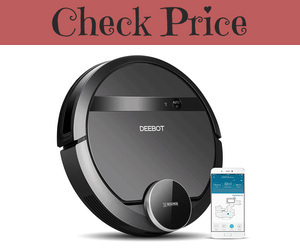 That puts the Deebot 601 neatly in the sweet spot of best price and performance for the current range of Ecovacs robot vacuums. Fine so far, but what else are we getting given that it’s a similar price to the Eufy RoboVac 30 and 30C? Time for a scan of the features. (Don’t these just make you glaze over?) It’s a wall of text, so I’ll pick out my highlights for you afterwards. 3-stage cleaning system for effortless cleanliness. With the edge cleaning brushes and the V-shaped main brush, the DEEBOT simultaneously sweeps, lifts and vacuums in a single pass. This allows the DEEBOT to thoroughly clean carpets, as well as hard surface floors. Hard floor cleaning mode is more efficient. 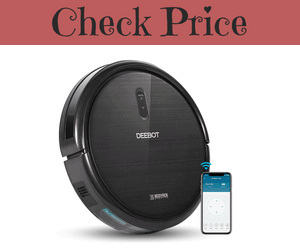 With Hard Floor cleaning mode, the DEEBOT follows a systematic, back-and-forth cleaning path on hard surface floors. This allows it to clean more thoroughly, efficiently and cover a larger cleaning area. Maximize cleaning performance with Max mode. Tackle those particularly problematic messes by engaging the Max Mode cleaning function. It increases suction power up to 2 times, and works on both hard surface floors and carpets. Control DEEBOT, anytime, anywhere. With the ECOVACS Home App you can control and monitor your robot from anywhere: schedule a clean, monitor its status, start a new cleaning session and designate what the areas you want cleaned, all with one simple, easy-to-use App. Smart home compatible. DEEBOT is compatible with Amazon Alexa and Google Home, while being controllable via the App as well. You can double your smart home credentials by using one of these centralized systems to maintain and direct your DEEBOT. Time Scheduling. Simply set a regular time and go about your business, and never return to a dirty home again. Automatic charging. No human intervention required! When battery power gets low, DEEBOT automatically returns to its Dock Station, all by itself. Stair Safety Technology. DEEBOT moves safely around your home using anti-drop sensors to clean around stairs. Obstacle Detection Technology. With its anti-collision sensors and soft cushion bumpers, DEEBOT can avoid obstacles and protect your furniture. High Efficiency Air Filter. Breathe easier when cleaning with DEEBOT thanks to an integrated high efficiency air filter that captures airborne triggers associated with allergies and asthma. Auto Start with One Touch. One-touch simplicity, just press the button and DEEBOT will engage the auto-clean mode. Find Me. To help users find the DEEBOT when it becomes stuck in some hidden areas like corners or under furniture. Did you make it? It’s an impressive list of 12 nice features. My favourite is the air filter. If you or your family have allergies then you’re going to love that feature. Many of the other features can be expected as standard, i.e. 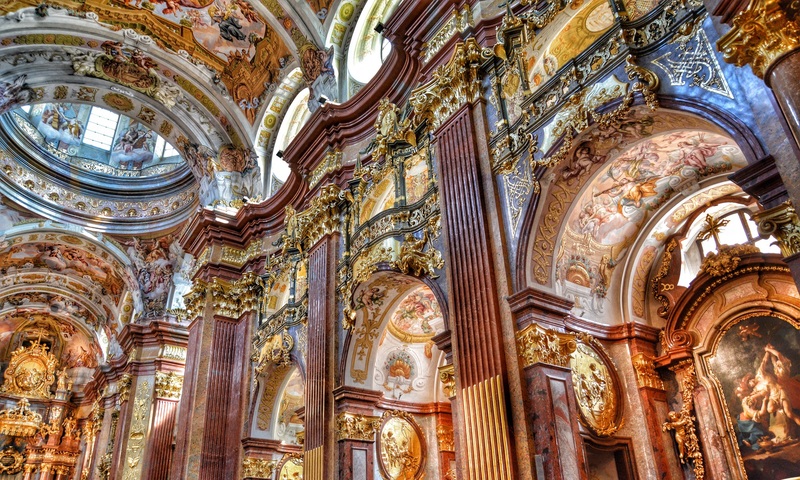 it doesn’t fall down stairs, it recharges itself, it takes a schedule and so on. Perhaps the main additions that jump out for the Deebot 601 in the economy range is the smartphone app, although without the mapping technology of the 901 it won’t have the same features. This is the 900/901’s app. The optical mapping you’ll see the 900/901 robot doing isn’t on the 601, so if you want that for under $300 you’ll need to do some bargain hunting. Check out the video if you want a peek of it in action. Or not, I don’t mind, it’s here for you anyway. Okay so that was a glimpse of the smartphone app. That’s more of an idea of what the mid-price robots can do though really. Only you will really be able to decide if that looked perfect for your home, if it looked essential, if it was the feature that sold you the Deebot 901 in particular. It gives you an idea of what’s possible. Note that 2.4GHz Wi-Fi is required and 5GHz isn’t supported, so please check what you have before you buy anything. The 601 is a curious creature, since it doesn’t come with the optical mapping of the 901, and yet, it can do the S-shaped back-and-forth cleaning pattern typical of more advanced cleaners. Remember that most of these budget robots are without optical mapping, and so they randomly move around with little memory of their surroundings. They get things cleaned, but they don’t have that systematic approach, which, allows smarter robots to clean faster. Something that kept bugging me while writing about the 601, and you’ll have noticed how the 901 keeps rearing its head in this piece, is how when you’re on the borderline between the budget robots and the mid-range robots both in terms of features and price, it helps to look at the mid-range robots to see what features they have that make them more expensive. As a buyer, it helps to know what your money should (or could, if you bargain hunt) get you. If you still need help with that, I’m going to point you to this video I had earlier in the piece from Lisa Gade at MobileTechReview (you can skip it or re-watch it as you please, it’s for your benefit after all). At the end of the video you should have a much better understanding about what you can get for your budget, and perhaps if you should stretch it for more features. The thing to wonder is how much a robot is going to make your life easier and how much that is worth to you. That should make your budget clearer. Ecovacs Robotics also offers a great range of budget robots, with everything from entry-level models to a mid-range model that you might be able to pick up for a budget price. Check Amazon now and get yourself a deal. S-pattern cleaning on the 601 is a surprise. More or less features if you want them over the model range. N79s is still a solid entry-level robot at a lower price. Optical mapping on the 901 and a nice app for $299? Insane value if you can get that deal. A bit louder than the Eufy models but still decent. Who should buy the Deebot 601? There’s a lot here for under $300. 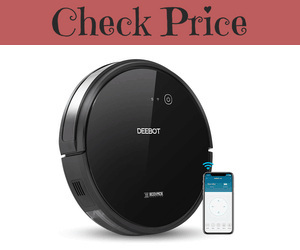 If you’re looking for an affordable robot vacuum cleaner with features more likely to be found in a system twice the price just a year ago, then this is likely the robot you need to get. Who should buy the Deebot 901? If you want to snipe a cheap Deebot 901 for $299 then I’d keep a close eye on the current prices. 25% off the usual $399 for a robot with these optics and a great navigation system would be a no-brainer. As for it’s actual ability to keep your house clean, well, it’s probably just a bit faster (because it navigates more efficiently) and that’s all. Who should buy the Deebot N79s? So, the N79s is the very popular previous model to the 601 and it’s still a perfectly good vacuum. It doesn’t cost as much, although it’s a small difference, and it can only use random navigation instead of the more efficient “back-and-forth” S-pattern. Still, it does the job and perhaps that’s all that matters. Heading into mid-range territory, we should expect features such as laser mapping and smartphone apps as standard. Already we’ve seen the Deebot 901 from Ecovacs Robotics, which at it’s recommended retail price of ~$399 is a solid start. However, there’s another maker worth taking note of and that’s Xiaomi. Xiaomi may already be familiar to you as the manufacturer of the Pocophone F1, an incredible flagship-killer smartphone that created a lot of hype at the end of 2018, with a particularly memorable preview and review from Unbox Therapy. With the amazing things they managed to do with a phone, I had to take another look at their robots. And? Pretty good. As you know, I like to give you a video to see the thing in action first hand if I can find a good one. This one is from a small channel—the guy and his Russian blue cat are funny, plus he packs in a lot of information concerning the every day use of a Xiaomi Roborock and the smartphone app. As you could see, pet hair was no problem and cleaning cat hair out of the vacuum’s roller brush was fast and painless. The Roborock even handled a milk spill with its mopping function, although careful not to use it on a heavy liquid spill because it can’t really deal with those without potentially damaging the robot. The smartphone app was good and Xiaomi sent out frequent software updates to improve the robot’s behaviour. I’ve heard that Xiaomi is good with their smartphone updates so it’s welcome to hear that diligence carries across to their robot vacuums as well. It’s probably worth mentioning again that cleaning the robot and taking everyday care of it looked remarkably easy. After all, there’s not much point in buying a labour saving device if it needs a lot of upkeep itself, so it’s important that the robot be hassle-free. Also, the battery life appears to be much better than on a budget model and of course it has auto-docking and resume for when power gets low. All of the bundled navigation technologies on board the Roborock make for a smart and efficient cleaner that seems to be good at avoiding any of those unwanted accidents such as falling down stairs or snagging on wires and so on, and as usual it can handle low-to-mid pile carpets but nothing more than that. Perfectly fine for a lot of homes with or without pets. Smart APP control: use the Mi Home App for scheduling, map saving, setting no-go zoned & barrier tape, zoned cleaning, spot cleaning, direction control, real-time monitor and customization. Compatible with Android, IOS, support Alexa voice control. 12-month warranty provided. Ultra-high 5200mAh battery capacity: 150 minutes of constant working, ideal for big house and multi-room. Note: Suggest not use on dark or long-pile carpet. Authentic products from ROBOROCK TECHNOLOGY CO. LTD enjoy 1-year warranty. Checking out the colours available on Amazon, it comes in Rose Gold (actually, white with rose gold trims), White, and Black variants. Far more details are available on the Amazon page following the link, including a comparison chart with related models. Certainly worth a look. Other traditional makers for me to look at are Samsung, Dyson and Roomba. Or have these old guard makes been left behind? Also, what is the best sub $200 cleaner or the best robot for pet hair? If you have a related question you’d like me to look into, please leave a comment.